Amazon, Apple and other tech executives said a single federal privacy law is needed to avoid fragmented state rules. Different standards also apply to the healthcare and financial industries, while data collection extends beyond tech. Europe has some ideas to offer. Len Cali, senior vice president for global public policy at AT&T, Andrew DeVore, vice president and associate general counsel at Amazon, Keith Enright, chief privacy officer at Google, Damien Kieran, global data protection officer and associate legal director at Twitter, Guy (Bud) Tribble, vice president for software technology at Apple, and Rachel Welch, senior vice president for policy and external affairs at Charter Communications, testify before the Senate Commerce, Science and Transportation Committee on safeguards for consumer data privacy in Washington, U.S., September 26, 2018. 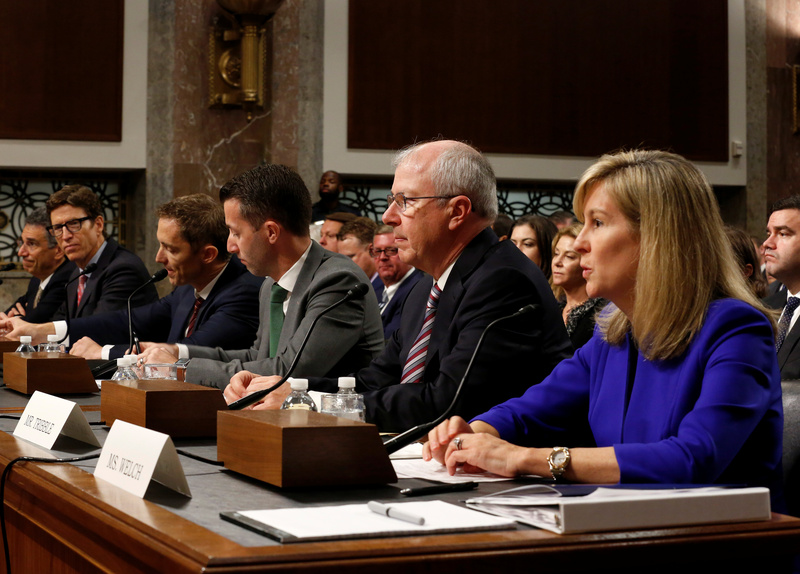 Executives from Amazon, Apple, AT&T, Charter Communications, Alphabet unit Google, and Twitter on Sept. 26 testified before a U.S. Senate Commerce Committee hearing on consumer data privacy. The company representatives agreed that a national privacy law was needed to preempt fragmented state rules, particularly a strict California law passed in June. Congress is also debating privacy rules after the European Union’s General Data Protection Regulation went into effect in May. Committee Chairman Senator John Thune said he would consider a privacy plan later this year.